The new Logan McRae novel from the No. 1 bestselling author of Close of the Bone and A Song for the Dying. One mistake can cost you everything…When you catch a twisted killer there should be a reward, right? 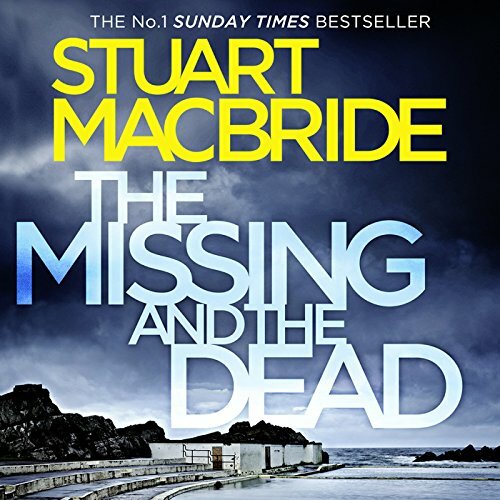 What Acting Detective Inspector Logan McRae gets instead is a ‘development opportunity' out in the depths of rural Aberdeenshire. Welcome to divisional policing - catching drug dealers, shop lifters, vandals and the odd escaped farm animal. Then a little girl's body washes up just outside the sleepy town of Banff, kicking off a massive manhunt. The Major Investigation Team is up from Aberdeen, wanting answers, and they don't care who they trample over to get them. Logan's got enough on his plate keeping B Division together, but DCI Steel wants him back on her team. As his old colleagues stomp around the countryside, burning bridges, Logan gets dragged deeper and deeper into the investigation. What does Steve Worsley bring to the story that you wouldn’t experience if you just read the book? With a dead-on ear for MacBride's humor and humanity, Worsley captures the author's characters beautifully. I read the e-book first because the audio wasn't available for some time, and found that I really missed the Scottish accent. He's the perfect voice for both Logan and Steele, no small trick. Everything about Logan's steadfast devotion to the comatose shell that was Samantha is moving for me, more so because MacBride avoids being maudlin or overly sentimental. I love this series. Sometimes when I've come off a bad streak of disappointing mysteries I go back and re-listen to one of the Logan Macrea novels - like a breath of fresh air, they are by turns tragic, horrifying, laugh-out-loud funny, always wonderfully written and driven by a truly heroic, flawed central character. Always leaves me wanting more. I so enjoy the humor that pops up in this book. Now I'm off to choose another in the series. Overly long with a not very interesting story. Lots of tedious detail about day-to-day policing. The big mystery turned out to be not so big.